KCG has developed an extensive Safety Program for its employees and continues to update that program to reflect current industry standards and best practices. At KCG, we believe that safety is everyone’s responsibility and encourage active involvement in all aspects of safety. 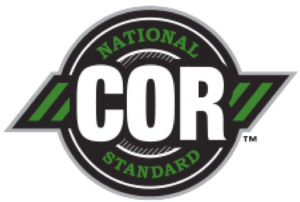 KCG is a member of both the Saskatchewan Construction Safety Association and the Alberta Construction Safety Association, and our health and safety program is recognized as a COR Certified program. We employ a Safety Officer, Certified Vehicle Inspection Officers and operate a licensed Safety Inspection Station. This ensures safe planning, safe equipment, and a safe work environment.